Mumbai (Maharashtra) [India], Feb 5 (ANI): The Enforcement Directorate (ED) on Tuesday filed a reply in connection with the plea of a consortium of banks led by State Bank of India (SBI) in the special court of Prevention of Money Laundering Act (PMLA), seeking immediate and speedy liquidation of properties seized from fugitive liquor baron Vijay Mallya. Additional Sessions Judge MS Azmi has asked all the interveners to file a reply to the plea seeking liquidation of properties by March 5. He later slated the matter for hearing on March 13. In its reply, ED said: “United Breweries Holdings Limited (UBHL) had moved an offer for settlement of dues of the consortium.” However, the consortium of banks had rejected the settlement offer made by the fugitive liquor baron before the Supreme Court stating that the amount offered was not sufficient. “In an affidavit filed by Manmohan Singh Kapur, erstwhile director of UBHL, he stated that UBHL is keen on settling the debts owed to the banks. Further, he also lists the assets belonging to both Dr Vijay Mallya and UBHL, the sale of which could satisfy the repayment of the principal amount of Rs 6,203 crore (approx) owed to the banks by Kingfisher Airlines Limited and payable by UBHL and Dr Vijay Mallya,” the ED said. “The complainant opposed the settlement offer primarily on the grounds that the jurisdiction of the court was barred to provide the relief under the Companies Act as the said assets were attached under the PMLA,” the ED said. “PMLA being a special act, the assets can only be sold under Section 8(8) of the Prevention of Money Laundering Act (PMLA) read with Prevention of Money Laundering (Restoration of Confiscated Property) Rules, 2016,” the banks had told the Karnataka High Court in response to the settlement offer by UBHL and Vijay Mallya. The pleas by the bankers have requested immediate liquidation stating that a delay may reduce the value of the assets as certain assets are amenable to market fluctuations. In August 2016, the CBI had registered a fresh case against Mallya for alleged irregularities in the repayment of ₹ 1,600 crore loan he had taken from the SBI. 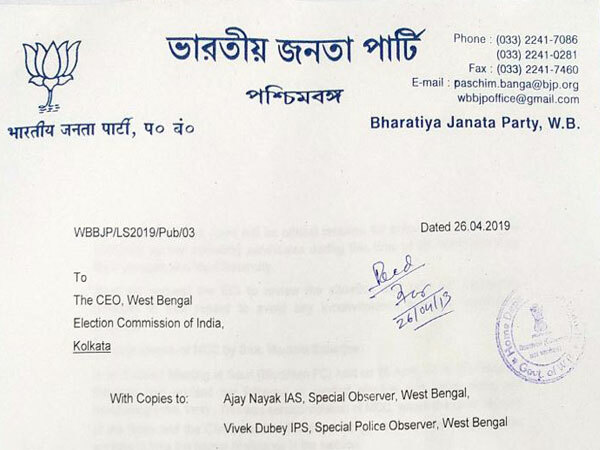 A PMLA offence was registered against Mallya and investigated after the CBI registered a case against him under Sections 13 (2) and 13 (1)(D) of the Prevention of Corruption Act read with Section 120 B, 420 and 409 of Indian Penal Code (IPC) on the complaint of the consortium of banks led by the SBI. The efforts made to seek extradition of Mallya have got a major boost with the UK Home Office signing an order approving his extradition to India. “On February 3, the Secretary of State, having carefully considered all relevant matters, signed the order for Vijay Mallya’s extradition to India,” said the UK Home Office spokesperson on Monday. “Vijay Mallya is accused in India of conspiracy to defraud, making false representations and money laundering offences,” added UK Home Office spokesperson. The fugitive liquor baron has decided to initiate the appeal process. For long, India has been pushing for the extradition of Mallya, who is wanted in the country for loan frauds, money laundering and other economic offences. 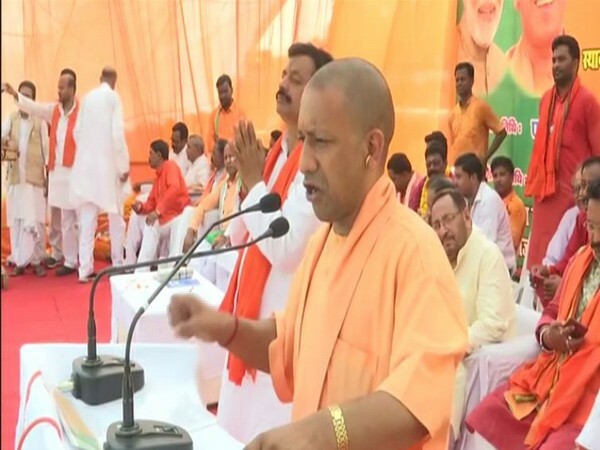 Kushinagar (Uttar Pradesh) [India], Apr 26 (ANI): The Congress party had no idea of the struggles faced by the poor people of the country as their money from the scams used to be deposited in Swiss banks, said Uttar Pradesh chief minister Yogi Adityanath on Friday. 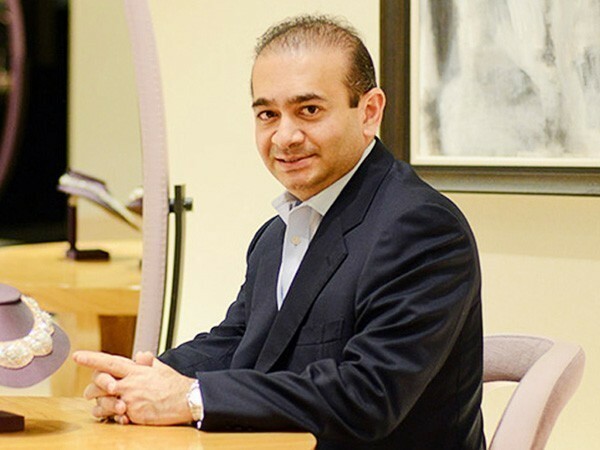 London [UK], Apr 26 (ANI): A London court on Friday rejected the bail plea of fugitive diamantaire Nirav Modi, who was arrested by Scotland Yard on March 19 in connection with the Rs 13,000-crore Punjab National Bank loan default case. 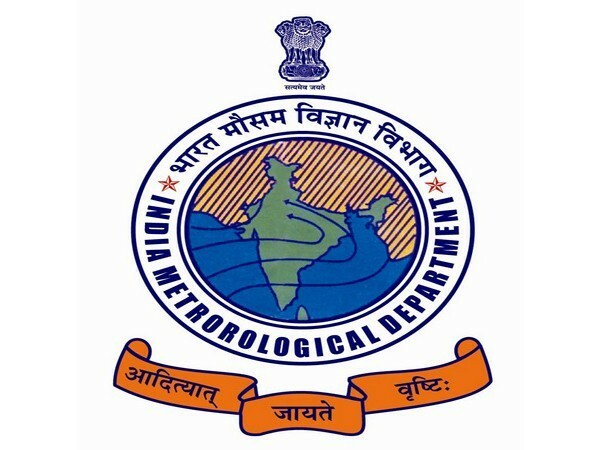 New Delhi (India), Apr 26 (ANI): The India Meteorological Department (IMD) yesterday issued a cyclonic storm warning to the states of Tamil Nadu and coastal Andhra Pradesh. 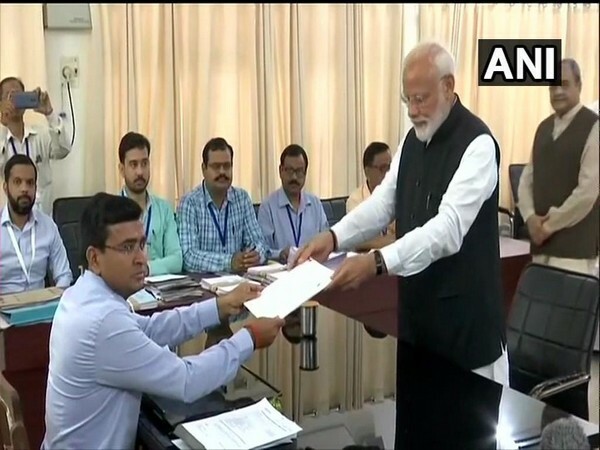 Varanasi (Uttar Pradesh) [India], Apr 26 (ANI): Prime Minister Narendra Modi has a bank balance of Rs 4,143 and fixed deposit (FD) of Rs 1,27,81,574, as per details mentioned by him in his affidavit submitted to the Returning Officer (RO) here on Friday. 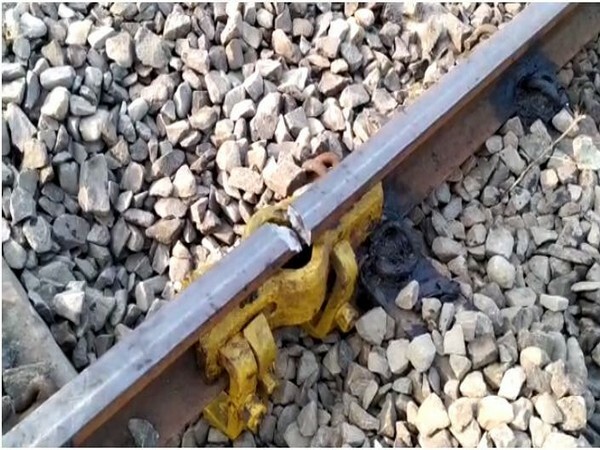 Krishna (Andhra Pradesh) [India], Apr 26 (ANI): A railway accident was averted in Bhairavapatnam village of Andhra Pradesh owing to the alertness of a keyman on duty on Friday. 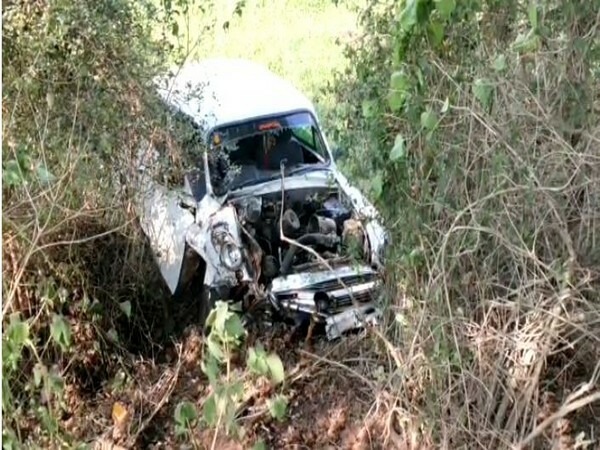 Krishna (Andhra Pradesh) [India], Apr 26 (ANI): 4 people were seriously injured when the car they were travelling in turned turtle in Thotlavalluru village of Krishna district on Friday. Srinagar (Jammu and Kashmir) [India], Apr 26 (ANI): Jammu and Kashmir Governor Satyapal Malik on Friday opposed the proposal to hold assembly elections in June and instead urged the Election Commission of India (ECI) to hold elections in November. New Delhi (India) Apr 26 (ANI): A Delhi Court on Friday sought an Action Taken Report (ATR) from Delhi Police on a criminal complaint seeking directions for registration of an FIR under section 124A (IPC-- Sedition charges) against Congress president Rahul Gandhi. 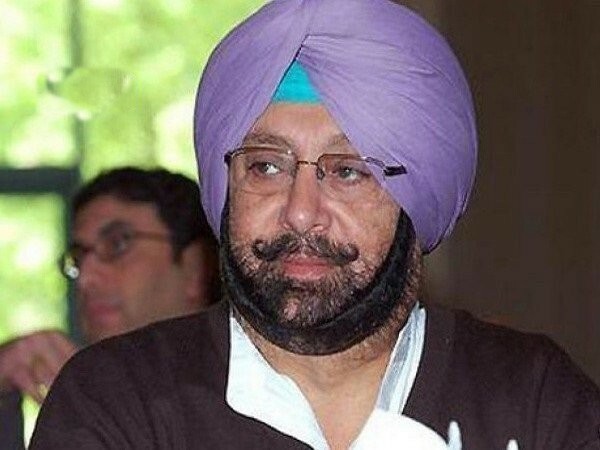 Gurdaspur (Punjab) [India], Apr 26 (ANI): BJP candidate Sunny Deol is a 'filmy fauji' while I am a 'real fauji," said Chief Minister Captain Amarinder Singh here on Friday, adding that actor-turned-politician does not pose any threat to sitting Congress MP Sunil Jakhar. New Delhi [India], Apr 26 (ANI): The Enforcement Directorate on Friday auctioned a total of 12 luxury cars - 10 of Nirav Modi Group and 2 of Mehul Choksi Group - for over Rs 3 crore.